SOMO’s Sake-Tails program includes eight creations, each priced at $10. For purists, mixing sake with spirits, fruit juice or liqueurs is out of the question. Like fine wines, many sake varieties are extremely complex on their own. 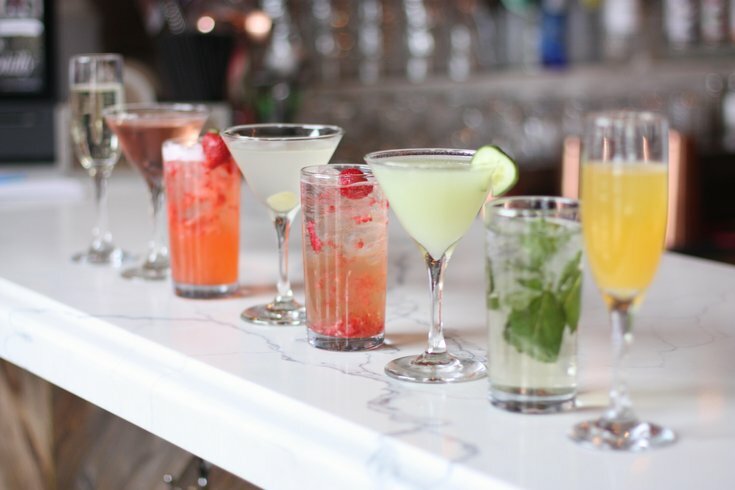 If you're an adventurous drinker, though, you'll want to try these new "Sake-Tails" from SOMO Manayunk. "I don't know of any other restaurant in the Philadelphia region that's offering a cocktail program so heavily dedicated to sake cocktails," stated designer-turned-restaurateur James Morrissey. Sake is a gluten-free product brewed with water, rice, a mold and yeast. Many mistakenly think of sake as rice wine, but the liquid libation made from fermented rice is more similar to beer than wine in its production process. Below are the sake cocktails available at the Manayunk bar. Each are $10. SOMO is located at 4311 Main St., Philadelphia, PA 19127.